Every tween/teen needs this cookbook. Easy Easy Recipes for all the foods they love. Kitchen Boot Camp offers a quick easily understood guide for learning to cook. Food Safety, Measuring, Reading Labels, Nutrition Info, Guide for Choosing the best Fast Foods, Portion Control, Recipe Remakes for healthier versions, Exercise info, The Greatest Sandwiches Ever – Whacky Pack Foil Dinners for fast fixes – the list goes on and on. It’s not just for kids – Families on the Go, College Students, Seniors needing to preserve their self-sufficiency all will benefit from this easy fix meal guide. The recipes in Junior Chefs are so easy to prepare and delicious! Most can be prepared with common kitchen utensils. Most all of those requiring cooking can be done in the microwave or toaster oven. 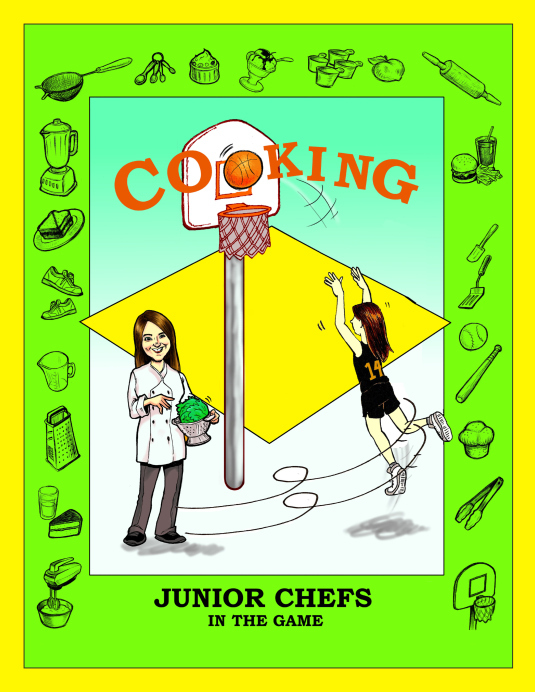 Although the book was written to teach Tweens & Teens how to cook, it is also a great food preparation book for anyone to use, such as college students, senior citizens, single adults, or, busy families on the go, etc. Anyone who is searching for minimal food preparation methods will find this book essential. So much information is packed into this cookbook. Kitchen Boot Camp is a condensed guide on “how to cook”, safety tips, reading labels, measuring foods, and much more. A section on fast food picks, cutting calories, equivalents, substitutes, exercise, and, work sheets for planning healthy meals are included along with tons of quick fix recipes. Check back here soon and I’ll be sharing recipes and cooking tips from each section of the book and share discussions about food and nutrition as well. I'll bet you didn't learn to cook, as a youth, by stewing prunes or steaming a batch of broccoli. I'll bet you starting your venture into cooking by baking cookies or a cake. By successfully learning to cook the foods we love, first, then we are more acceptable to try our hand at cooking a larger variety of foods. This skills book for tweens and teens offers up a plethora of fast, fun, easy recipes for foods kids love. Also included are recipe make-overs to make those foods into healthier versions. Kitchen Boot Camps is a simple and compact course in cooking technique and tons of nutrition information is included as well. Great Beginner cooking instruction book for anyone, easy delicious recipes for a large variety of foods for everyone. You're invited to check in here often where I'll be sharing some recipes and information from the book each week.